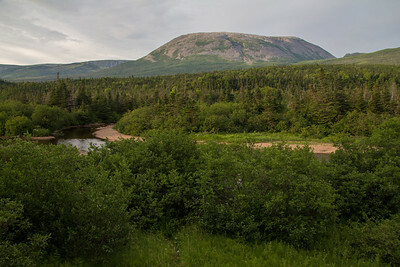 Gros Morne Mountain, for which the national park is named. 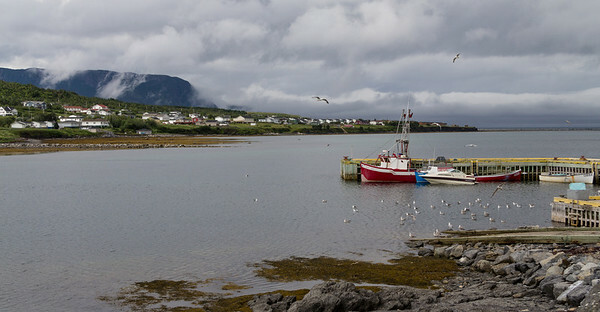 Rocky Harbour in Gros Morne National Park, with Lobster Cove Head Lighthouse in the background. 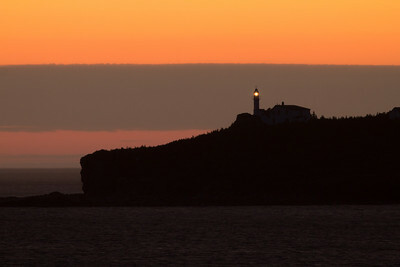 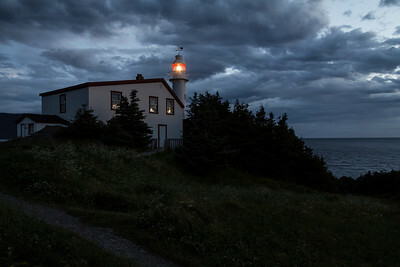 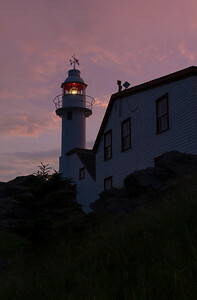 Lobster Cove Head Lighthouse just after sunset when the light turns on. 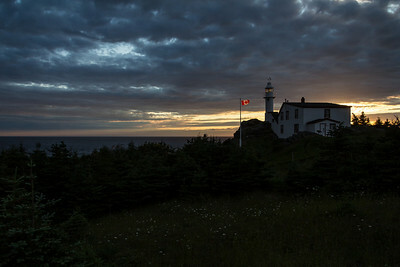 Lobster Cove Head Lighthouse from Rocky Harbour in the evening. 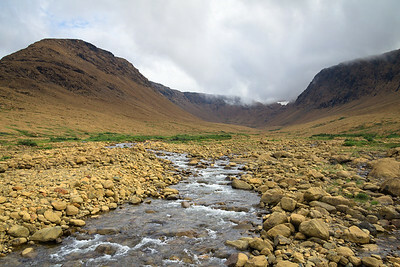 The Tablelands in Gros Morne National Park, where eons ago two continents collided, forcing rock from miles below the surface up on top of the Earth's crust. 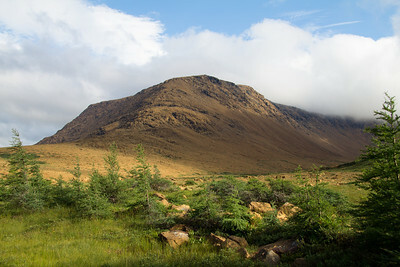 The rock is toxic to most plant life and hence, is somewhat desert-like. 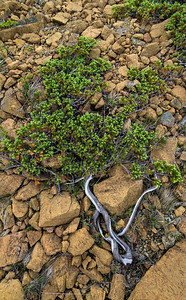 What little plant life survives in the extremely harsh environment of the Tablelands in Gros Morne National Park, is similar to this - ground-hugging, tough little evergreens. 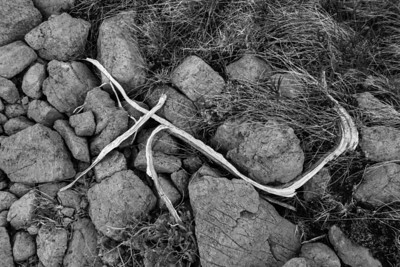 Life of any kind has a tough time in the harsh environment of theTablelands. 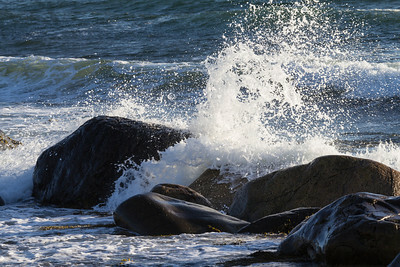 Waves on the shore at Green Point Campground in Gros Morne National Park. 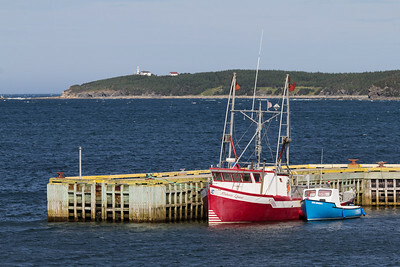 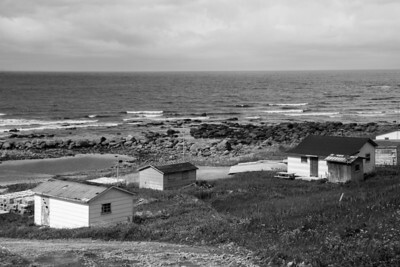 The summer fishing village of Green Point, in Gros Morne National Park.